Please remember to send in a post about homeschooling for the next Carnival of Homeschooling. The Carnival of Homeschooling will be held next week at Golden Grasses. This will be the 331st edition. Blog Carnvial was repaired for a bit but is now down again, so please send in your submissions directly via email. The latest Carnival of Space is up at Next Big Future. "Christine The Curious" is hosting this week's Carnival of Homeschooling at Our Curious Home. I looked through our Archived photos from Aprils past, to see what a ‘typical’ April was like for our family. We often had nice weather to get outside in (or else we had bouncy children who had to go outside whether it was nice or not). This photo of M when he was young reminds me of the questions Dan asked me when I was first thinking of homeschooling. NerdWallet has some Questions for Parents: Is homeschooling right for Me? Our oldest daughter will be "graduating" from our homeschool. I hadn't really thought much about it since she is already attending community college. She passed the CHSPE (California High School Proficiency Exam) two years ago. In many ways, she has already moved on to the next step. There are no other seniors in our homeschool co-op or in our close circle of friends. There might be a few other seniors in the larger homeschool support group but my older daughters doesn't really hang out there. So, a graduation ceremony seems a little too much. Should we make a diploma and give it to her? A friend suggest that we have party to celebrate and send out graduation announcements in the form of an invitation to the party. So, what do other homeschoolers do when there children "graduate?" My daughter found this fun web site: Sentence diagrammer. Almost three months ago we moved out of our house into an apartment. Janine and I were married over twenty years ago. (One of the reasons she married me was because I already had a house.) From the beginning Janine has wanted to remodel the kitchen. We have had other parts of the house remodeled. The first job was expanding the master bedroom and fixing up the bathrooms. We had a couple other jobs which included turning the back porch into a screen room and splitting the upstairs room into a family room and an office. Now finally she was getting her dream to come true. Living in a small two bedroom apartment has been an interesting experience. We have been a bit stressed in the tight quarters, but everyone has adjusted. I’ve been fascinated by how little we see our neighbors. Of the seven other apartments on the third floor with us I’ve only seen people go in or out of four of them. And we rarely see people going in and out of these four apartments. I heard that all the apartments are occupied, but I wonder. Homeschooling hasn’t changed all that much. Janine still gives assignments to the girls. Our daughters do a fairly good job of staying focused and working through their topics. I think the biggest change is they have been operating much more independently. Janine has been greatly distracted by the dozens of decisions she has had to make. Janine has been thinking about the new kitchen for years, but after the remodel started she was surprised to learn just how many choices she still needed to make. There were hundreds of little details. She has created a design committee on Facebook. Fairly often she would post a question about counter tops or appliances or what to put on the floor, and get dozens of comments. It has been an iterative process. For example once she decided on granite she then had to pick out which type of granite. Due to the marvels of technology she could take pictures of samples, post them on Facebook and get lots of feedback on which pattern people liked, and why. We should be moving back into our home in another ten days. Soon this will just be a chapter in our family history. We’ll be able to look back and remember the fun things like having a pool! George Leef has an interesting column: After College, What? What the study found is not the least bit surprising. Students who learned little in college (as evidenced by scoring in the bottom quintile on the College Learning Assessment) were three times as likely to be unemployed as students who scored in the top quintile, twice as likely to be living at home, and somewhat more likely to have run up credit card debts. The huge push to send everyone to college may not be a benefit to all students. 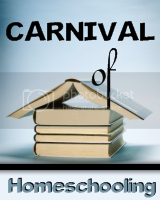 Please remember to send in a post about homeschooling for the next Carnival of Homeschooling. The Carnival of Homeschooling will be held next week at Our Curious Home. This will be the 330th edition. Blog Carnvial was seems to be working, but given the past history of the last six months it isn't clear how long it will work. It is probably best to send in your submissions directly via email. "It gives Facebook the ability to roll out more services," Gartner technology analyst Michael Gartenberg said. "It's going to be harder for companies to compete with Facebook." "We compete broadly with Google's social networking offerings, including Google+," Facebook said of the social network launched by Google which has attracted 90 million users to Facebook's more than 800 million. "Some of our current and potential competitors have significantly greater resources and better competitive positions in certain markets than we do," Facebook said. Cristina is hosting this week's Carnival of Homeschooling at Home Spun Juggling. I happen to do at least one or two workshops every year teaching balloon sculpture. I've written about one of these workshops here. It occurred to me that the lessons I've learned from teaching balloon sculpture might be applied to homeschooling, so I'm using them as part of my carnival. After all, what's a carnival without balloon animals? The new research, by child psychiatrists and neuroscientists at Washington University School of Medicine in St. Louis, is the first to show that changes in this critical region of children's brain anatomy are linked to a mother's nurturing. "This study validates something that seems to be intuitive, which is just how important nurturing parents are to creating adaptive human beings," says first author Joan L. Luby, MD. "I think the public health implications suggest that we should pay more attention to parents' nurturing, and we should do what we can as a society to foster these skills because clearly nurturing has a very, very big impact on later development." I think this re-inforces how important it is for children to be raised by a stay-at-home parent. I have written before about leaving the United States. In November I wrote about a huge increase in the number of people leaving. Currently in the US each person's share of the national debt is $130,000. "'Truth, justice, and the American way' - it's not enough anymore," the comic book superhero said, after both the Iranian and American governments criticized him for joining a peaceful anti-government protest in Tehran. Last year, almost 1,800 people followed Superman's lead, renouncing their U.S. citizenship or handing in their Green Cards. That's a record number since the Internal Revenue Service began publishing a list of those who renounced in 1998. It's also almost eight times more than the number of citizens who renounced in 2008, and more than the total for 2007, 2008 and 2009 combined. But not everyone's motivations are as lofty as Superman's. Many say they parted ways with America for tax reasons. The United States is one of the only countries to tax its citizens on income earned while they're living abroad. And just as Americans stateside must file tax returns each April - this year, the deadline is Tuesday - an estimated 6.3 million U.S. citizens living abroad brace for what they describe as an even tougher process of reporting their income and foreign accounts to the IRS. For them, the deadline is June. It will be interesting to see if this trend continues. If the national debt continues to grow and if taxes climb I think more and more people will leave. An 800-pound, 45-foot-long paper airplane with a 24-foot wingspan may be the largest paper airplane ever to glide across the sky. After being hoisted to a height of 2,703 feet by a helicopter last Wednesday, the plane was released and glided for an estimated 7-10 seconds, reaching speeds of close to 100 mph. We have blogged several times about how homeschooling gives us great flexibility. Last week our family had another example of the benefits of this flexibility. In contrast we have noticed that our friends with children in public schools often have a hard time taking their children out of school. One family was going to Italy for a month. Think of all the experience the children would have! They would get to know a new culture, be exposed to a new language, see famous art pieces and so on. Yet the public school said the parents COULD NOT take their children. The school was not going to allow it. (It still boggles my mind.) After several weeks and the mom finally just telling the school they were going to take the children the school gave in and set up a study program for the children. Last week I took my fifteen-year-old daughter to a very intense conference on space. For forty hours she was exposed to people in the space industry. She listened and took notes for talk after talk. She admitted that she probably only got 10% to 20% of the ideas, but she did find it interesting and summarized some of the mention points for her cousins on a family blog. Her science bucket was filled up to overflowing. The trip was also a success in other ways. It was a big hit on the family side. She rode with my father and me as we drove to Phoenix. She got to meet my brother who flew out from Virginia for the conference. And she got to spend several hours with an older cousin who is married and has two young daughters. I am so glad that we could introduce my daughter to what I think is the start of a tipping point in access to space. (I think in five to ten years there will be an explosion into space as the price into orbit drops.) We didn’t have to ask someone for their permission. We didn’t have to threaten some administrator. There were no forms to fill out. Janine and I talked about the idea. We asked the two older girls if they were interested. (Baby Bop said he wanted to go, especially when he heard there would be videos of rockets blowing up.) Our second daughter said she wanted to go, and it was done. No muss. No fuss. He was right. But Churchill never imagined a government that would add 10,000 year after year. That’s what we have in America. We have 160,000 pages of rules from the feds alone. States and localities have probably doubled that. We have so many rules that legal specialists can’t keep up. Criminal lawyers call the rules “incomprehensible.” They are. They are also “uncountable.” Congress has created so many criminal offenses that the American Bar Association says it would be futile to even attempt to estimate the total. So what do the politicians and bureaucrats of the permanent government do? They pass more rules. Clearly part of the answer to fixing the public school mess is not more laws, but less. Getting rid of the Federal Department of Education, and all their rules, would allow state and local governments more options for fixing their problems. One of the reasons we homeschool is to make a real difference in the world. In The school system vs. a learning system I write about how our poor government schools doesn't stop people from succeed in the United States because we have a great learning system. What is the value of an education? explors some ideas on why we should get an education. Janine posted another reason to avoid government schools - part 5: Socialization. My older two daughters have read "The Law" By Frédéric Bastiat. It is very thoughtful and explains many of the problems with government programs. I encourage everyone to read it. Homeschool Showcase #93 is up at Weird, Unsocialized Homeschoolers. Space Access 2012 ended Saturday evening. I'm back home. The normal program of homeschooling, education, family issues and other random stuff will return. Please remember to send in a post about homeschooling for the next Carnival of Homeschooling. The Carnival of Homeschooling will be held next week at Home Spun Juggling. This will be the 329th edition. Jim works to influence space policy. Jim recently hired a third staff member. He will only briefly talk about NASA human space flight. There has been a lot of discussion at NASA about human flight. NASA has started to changed their thinking a bit to allow commercial solutions. Congress recognizes that there are valid commercial options. It looks like NASA might get a cut of about 7% to 8% in the next budget. It would be a huge cut. Most of what he wants to talk about is the FAA regulation environment. John Rockefeller, a senator, was not happy with a recent extension. His staff told a bunch of people he would not like to move forward on regulation. The current thought is to allow industry to operate with less regulation so they could figure out what works. The industry didn’t evolve as fast as people were hoping. Jim argues that we need a gradual change by the FAA in their regulations. One group in the FAA encouraged the FAA to release all their data so everyone can learn from the data. The full agenda for Space Access 2012, with links. His son got married and moved to Seattle, so now Paul is all of Unreasonable Rockets. Paul started out saying everyone else gives presentations (at Space Access) but he likes to do Show and Tell. Paul listed the projects he worked on. Paul lost sixty pounds. He has a small 3D printed rocket. He showed a number of objects he has developed. He built a tank. He made progress with sample resin. He bought a 55 gallon drum and had trouble with the resin. The resin company has stopped talking with him. Lessons on recovery. For testing recovery is very beneficial. He said that less than 25% of the liquid rocket flights have recovery. He spent a couple months trying to understand recovery better. His long range plans is to combine his three projects and win the NASA Nanosat challenge. Long, long term he would like to create a nanosat business. Michael Clive, "The Mojave Makers Hackerspace"
He talked about the Maker Movement. People build a ton of stuff. A hackerspace is where people build stuff. People share and teach what people are interested in and what to do. Hackerspace tend to be non-profit. There is a wide variety of events. People share what they learn. Michael was pretty excited about Makers. Mojave Makers has people from many of the rocket companies at Mojave. They got a building, building 82. They cleaned up the building some. He showed some pictures of the building and the tools they have. They can help people. They could use power, tools, money and people. Osa Fitch, "The Rocket Test Company: 2012 Update"
Last year they gave a presentation on a concept. Luna City Enterprises will help customers test their products on a rocket. In the last year they have tested three different nozzle designs. He showed some of their test results. They can also make things. They have a milling machine. Their future plans are to develop a 1000 Newton class thrust. It will be regneratively cooled. And he also made the pitch to go to Wyoming. Can drive a truck right into the silo. They are interested in a variety of areas. Stone Aerospace signed a contract with Frontier to help develop a device to go into the liquids of Europa. They have access to a large laser welder. They have worked on a flight control system. He showed their rocket testing environment, the flame trench. They have a crane for lifting a rocket for testing. The University of Colorado is doing some testing at the facilities. He showed a video. He talked about Hydrogen Peroxide. Someone is producing Hydrogen Peroxide at the facility. He says hydrogen peroxide is non-toxic and water-soluble. They are working with Darma, a group which has moved from South Korea. He put a pled for Angel Investors to help with Darma. They want just one million dollar investment. He talked about some of the benefits of working in Wyoming. He showed how expensive it is operate in California. They are applying to have a spaceport in Wyoming. It would be a privately held spaceport. He has been testing Laramie Rose, his lunar lander. He has been working on the altitude control. He has struggled with the position. He showed a video. They do testing inside the Frontier Astronautics missile silo. He said it was great for winter testing. The vehicle is physically capable of the landing. They did some testing to see if injecting cold water into decomposed 80% peroxide increased thrust. The thought was the added mass might contribute, but the heat was soaked up by heating up the water. He has developed a valve actuator. He is selling it for $500. He can machine the parts to match physical needs. He would like to make a double acting or spring return version of the value. Hasn’t been able to find a solenoid rated for 3000 psi for less than $1000 each. Gerry reviewed some of the goals of Tethers Unlimited (TUI), and some of their products. They still want to do momentum exchange tethers, someday. They have grown from six to eighteen employees. They have an opening. TUI has over a million dollars of active contracts. Rand is proposing property rights for space. Property rights are key to economic development. It allows investment without fear of arbitrary confiscation. As a reminder 2012 is 150th anniversary of the homesteading act of 1862. The Homestead Act allowed people to claim 160 acres. They had to farm and live on it for five years to gain title. We haven’t treated space as a frontier. Entered space during the Cold War. Claimed space was for all mankind. The Antarctic Treaty which had no declarations of national sovereignty. The goal was to end expensive space race. (Rand said it worked.) They space treaty did not outlaw private property off planet. Rand proposes that the United States Government recognizes a claim on the moon by a non-government entity under certain conditions. The entity is not necessarily American and the claim will not necessarily be physically defended by the United States Government. The conditions: Must permanently occupy the territory. He is proposing people could get 4% of the moon, or 6.5% of Mars. A claim might be worth $15 billion. You can find more details on Homesteading the Final Frontier. The title of his talk was “Commercial Human Spaceflight: the Coming Safety Challenge.” Michael is the Chief Engineer at the Office of Commercial Space Transportation of the FAA. He listed some administration changes in the FAA. The FAA learning cycle for aviation was largely driven by responding accidents, in trying to understand what happened that caused people to die. Michael asserted that rocket flight started thousands of years ago as a means of delivering weapons. In 1960s we started delivering people. Safety was a responsibility of the launch site. In the past the safety of the crew and public has been a battle between several organizations. Michael proposed the question can a single organization hold both in mind? There has been about 6,000 space launches by major space powers, without a single human casualty in the uninvolved public. (Ignoring some problems with China.) The risk of experimental aviation to the uninvolved public started off low and grew over time. The public grew used to it. There was a discussion of a flight termination process. Under some situations some people are arguing for the ability to blow up a rocket. He had a sixteen minute video. He showed some explosions and explained what went wrong. One of the flights went 42km! The first parachute was blown apart and didn’t slow the rocket enough and the second parachute also didn’t work. Their window tunnel is driving a pickup at sixty miles an hour. Next launch went to 95km. They are launching rockets at White Sands in Texas, which is near where the site where the government tracks satellites. For this way the first parachute was yanked completely off. Henry V. – everything always takes longer than you plan for. Have lots of backup plans. Gary – He said best to avoid investors. When he took money from investors he lost money. When he tried to bootstrap up using customer’s money he made money. Henry V. – you can’t have too much data. Cameras are cheap. Henry S. – when gathering data it is good to have the time sequence nailed down. When debugging a problem know the sequence of events can be key. Phil Chapman, "Reviving Human Spaceflight"
Phil Chapman started off talking about how fifty years after the first airplane flight there were tons of airplanes, but fifty years after launching the first satellite there is very little happening in terms of people traveling to space. He pointed out there have been a few times in history when the mindset of mankind changed. One was when Copernicus pointed out that the Earth rotated around the sun. 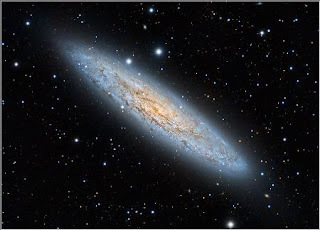 Another was in the 1920s as we started to realize our solar system was just one in a galaxy of stars, and there were something like 10 the 12 number of galaxies. Recently we have learned there are maybe hundreds of billions of planets in our galaxy. We need to get out to the rest of the universe. Phil expects than in 400 years more humans may live off earth than on earth. It sounds like a startling claim, but consider that since the founding of Plymouth colony America has grown to five times that of United Kingdoms. He would like the United States to consider have a branch of the Air Force which was a Space Guard. There will be a huge growth in the demand for electricity over the next couple decades. A solar collector in orbit could be a competitive option for providing power. Phil believes that for reasons of national security we need to invest in solar powered satellites. He listed eleven ways solar powered satellites could be used in defensive ways. He reminded us that most of us are into the Space industry not because of a desire to make money but to be part of something epic. His organization EarthLight is to carry the light of life to dead planets. They are trying to create a vision which motivates and is credible. Dave showed a picture of their current rocket. It is designed to fly to 100,000 feet. They have had problem with landing. They have done 88 tether flights in trying to understand the landing issues. They are flying free now. They have developed a product they call Sensei. It watched the software which is controlling the rocket. If the other product makes a mistake Sensei takes over. Masten Space is working on a couple business lines. The first is high altitude rocket. The second is on landing. He showed a picture of Zeus. It is based on an idea of landing a rocket on landing on its side. It was a short presentation and then he took Q&A. They have a couple buildings at Mojave. One of the buildings is called The Stable, because that is where they keep the centaur. They make space suites. They are providing a service and are betting that New Space will be successful. They were founded in 2006. They have several customers, including: NASA, XCOR and SpaceX. What does the suit need to do? For example: Hold pressure, but what pressure. Or allow movement under pressure, but how much is really “enough”? What does it mean to integrate with the vehicle? They work with each customer and each customer has a different set of answers. Jeff encouraged people not to wait until the last minute. There is no one suite which fits all rockets. Soyuz 11 had trouble in 1971. The crew might have survived if they had suites. It is good if the suite allows mobility. They also build whole vehicle mockups. They have recently acquired an enormous mill and are looking for jobs to keep it busy. They are proposing a whole bunch of lasers on the ground which beams to a flat plate, heats up the fuel and the rocket exhausts providing push. The current plan is to have one set of lasers to get the vehicle off the ground and a larger batch of lasers to provide the energy as the rocket flies over the main bank of lasers. Jordin was part of a study on using lasers and/or microwave to power a launch. The group was composed of Myrabo, Kare and Parkin. Each of them has different thoughts and the one group ended up with three different results. Kare’s version had payload of 60kg and a total mass to orbit of 1000kg. He talked about the problem of NASA engineers implementing some of his ideas. Kare was expecting a long thin rocket, the NASA group pushed for more short and fat. Kare said that there is a commercial product which does what he needs. IPG sells a 10 kW single mode at $130 a Watt, but this is because they have only done small orders. If could order in volume the price would drop to at least to $20 a watt. NASA said his machine should cost about $10,000 a kilogram to build, but most rockets only cost around $2000 to $5000 a kilogram. I think the study is available here. Be warned, the report is almost 700 pages and takes about 90 Megabytes of space. The study concluded that this is possible. People asked why. Jordin believes there is a market for putting small amounts of material a thousand times or more a year has value. He walked through some of the economics and technology. Kare's proposal is to use lasers to basically build an assembly line to launch stuff into space very frequently. Last episode, 2010, they won a NASA power beaming challenge. It was frustrating that the next round of power beaming challenge was canceled. They were able to demonstrate an unlimited-duration flight of a small helicopter with beamed power. They decided to create a product to generate income. They came up with InvisiTower, a small helicopter rises to 600 feet. It is powered by an optical cable, which is lighter and isn’t affected by lighting storms. They have gone from LaserMotive, LLC to LaserMotive Inc.
Ben Brockert, "Encouraging STEM Education In The US"
Ben encouraged people to consider setting up more prizes. He asked for suggestions. Henry Spencer, "Lessons From Smallsats for Small Launchers"
The university Henry works at does have paying customers. With money they have launches on schedule. In some ways they are a company. Most of their satellites are 20cm cubes. Just because the old guard does something a certain way doesn’t mean it is the right way. You can’t trim out items one by one because too often they interact together. Making things work is hard. Good to get into the hardware soon. Good to get something simple working and then make it complicated. Don’t jump to something complicate. Learn from something basic. Start with small. Having your first attempt fail is really, really bad for funding. It is more important to have something work that it have a lot of features. It is really bad to have a failure which you can’t explain. Cheap and quick is important for developing hardware. The radiation toughed electronics is bad, takes too long. Most of the radiation harden is primitive. The commercial stuff is robust. Commercial chips have more on a single chip than the radiation chips, so need fewer wiring. Henry talked about one satellite which has been in orbit for nine years with commercial parts and it is working just fine. More important just to get something working; don’t worry about performance. Focus on making it bullet proof. Good to design out as many death modes as you can. For example they try to make sure that even if the software goes berserk and tries to kill the hardware it wouldn’t be able to hurt the hardware. Make sure to completely understand each failure. It could be disastrous to encounter a failure and merely put a bandaid over it. Regulation is a long lead item. Get talking with everyone as soon as possible. For example make sure you have access to radio spectrums. Clark started off acknowledging that there was a lot of space progress happening outside of the United States. He listed several examples. It seems like there is good progress in general market potential and transportation. There is a need for more infrastructures like space tugs. Doug will cover some developments in Russia, China, India and other countries. Recently Russia has a rocket blow up. They have gone four months without blowing up a rocket. Corruption is a big problem. It appears one out of every five rubles is lost to corruption. They are looking at developing a new rocket. There is an effort to build a Silicon Valley outside of Russia. Not clear a government lead effort will be successful. There are several ventures being considered. There is a proposal to sell tickets to the moon. Japan is working a program. They have a long term plan. It is possible that the United States may have commercial systems developed in time to sell to Japan. India was looking at 2015 to fly something into space. Now it has been delayed to mid 2020s. They still need improvements in their technology. Indian government has decided to try and develop all their technology on their own. China seems to be following a similar pattern as Russia. They are looking at a trip to the moon. The Middle East is largely funding Virgin Galactic. There is a lot of interest outside of the United States, and money. If there is success in the United States it will probably spur more effort and development around the world. Jeff thinks spaceflight will no longer be just a government venture. We have a set of plans for getting into space. But we have had plans before. NASA’s budget may get cut, and what affect does that have on the space program. Many other nations have leaned on the United States; if we pull back they may pull back. This could be compounded by the hard economic times. India would like to get to Mars before China, but they have challenges. China has said they plan to be in space. Jeff doesn’t believe space is a major priority for China. Overall expect a decline of government investment in space over the next couple decades. Jeff asks how could we change this? How increase the benefits? How decrease the cost? Dave said European and Russian are feeling threaten by SpaceX. Frank opened with a joke. He said United Launch Alliance (ULA) is considered one of the dinosaurs, but they seem themselves more as a raptor than a typical slow moving dinosaur. He talked about their goals, and the focus on safety. He showed how the pieces fit together. They are trying to cut costs by designing in reliability. They are looking at simple, commercial designs and materials. They are moving away from hazard materials. They are trying to use waste gas as part of the propellant. The rocket uses just 700 watts for their electrical work. They plan to try and leverage work done by other companies in similar fields. He showed several parts they have developed or buy. He went into a lot of technical details. He talked about the electrical system. They feel like they have made good progress. Mark started by giving a little history of XCOR. It was founded by four engineers. The company is now up to 35 They wanted to get into space, and felt they were too poor to go into space at the current costs. They are trying to bring the cost down. Back in 1999 they focused on building engines. He showed a video of their largest engine which had 7000 pounds of thrust. In the twelve years XCOR has been in business they have built eleven engines from scratch. He talked about how they designed a rocket to be serviced quickly, At the end of the program they could service the rocket seven times in a day. Their current project is a Lynx. It has been designed from scratch. The plan is to take a pilot and passenger up to 100km. They have a current contract with United Launch Alliance, ULA. They are working on a 20,000 pounds thrust engine. He talked about another project. Most of their focus has been on the Lynx. Their production will be capable of Mach 4. They have down a lot of work with wind tunnels. They really like window tunnels. You can create a model, test something out, make changes and test again. All total they have done about eight weeks of testing in wind tunnels. Four of those weeks have been done in the last eight months. They recently found some tweaks to improve yaw and pitch. Lynx is primarily a carbon fiber structure. He showed the insides of the Lynx and then showed how far along the parts are in terms of delivered, under construction, out for quote and still under detailed design. Mark showed a picture of their work space with parts scattered around. Their goal is to have something flying by the end of the year. John is founder of Garvey Spacecraft Corporation. They are focused on nano-satellites. These small satellites are typically up for a short amount of time, but long enough for people to run some simple experiments in space. Garvey Spacecraft has done a total of 29 flights, with four in 2011. They are looking at putting something like 20km for $1 million to $2 million per flight. John listed some of the milestones they’ve reached in 2011. He gave the details of the four flights they did. They make a lot of use of college students. Jon Goff is a friend of mine. I’ve known him for six to eight years. He started off talking about what his company Altius does. They build (mechanical) Tractor Beams. Their core technology is something they call Sticky BoomTM. Earth based science can iterate in days or weeks. Space based science can have a single iteration of six months. With Sticky BoomTM it easier to approach a space facility, and leave. For example can use it to push a rocket away from something like the International Space Station which would make people safer about rockets getting close to the ISS. This could make the discovery research interation go faster. The last year has been exciting. They have been able to test some of their product on the vomit comet. They have some internships for the summer. Scott Tibbitts, eSpace, "From the Hardware Store to Pluto: Adventures in Space Entrepreneurship"
Scott told how he fell into the space industry in the 1990s. People started buying from his company. He is from Boulder, Colorado. One of the values of the company was to have fun. Another core value was to make sure their products never failed in space. They got to test their products on the vomit comet. He showed a video of one flight on the vomit comet. Over time the word got out and people wants to work for them. They got stuck in their growth because they were only making paraffin-powered mechanism for spacecraft. They ended up buying a company and could now making mechanical solutions for spacecraft. Now they were growing at 50% a year. They had parts in the Martian rover. They were very excited. The company logo was shown in the pictures from Mars! They learned not to use O-rings in devices. At one point they were upside with a loan. The bank wanted six million dollars. He got two options, one to stay with the company as CEO, but still have loan issues, or sell the company. He struggled but sold the company. His last story was about how one of his favorite memories was a trip with his son. He made the point that family and relationships are important. Scott is a good story teller. Ian told some fun stories about Stratfox Aerospace has recovered several rockets. They had a ballon which left from California and went all the way to the Mediterranean Sea. Their vision is to help humans to settle space. Their membership is about 8,000. Individual membership is $20. They produce the “Ad Aster“ magazine. They have an International Space Development Conference this May, in Washington DC. He listed the speakers and topics which would be at the conference. Spaceworthy, Ed De Reyes, "Roadblocks To Licensing and Permitting: We Have Met The Enemy, And He Is Us"
Ed De Reyes is a consultant. He will help with filing applications. He said the FAA is not trying to stop people from flying, but to make sure rockets fly safely. Ed encourage people to consider using people who have experience and know the FAA processes and know the people. He says too often small rocket companies think they are better off not having experience with the FAA. The best approach is to try and avoid problems. Good to talk with the FAA early and often. Don’t wait until the last minute. Be prepared to answer a lot of questions and have a detailed plan. Show you have a team in place. Always tell the truth. Good to ask, frequently, “What do you need for me?” Good to be polite.